Discover the wild and wind-swept Cape of the Isle of Beauty and enjoy riding along its beautiful coastline. During your stay, you will come across many Genoese towers, enjoy views across the Mediterranean to the Tuscan islands of Elba and Capraia, and meet welcoming locals who are proud of their traditions. Starting in Bastia, this varied cycling tour lets you discover the rugged beauty of the Cap Corse. From the peaceful east coast to the wild and rugged west side as well as the raw beauty of the interior, the tour will never fail to offer stunning views and variety in its route. Arriving into Bastia airport, you will be transferred to your hotel for the evening. Depending on your arrival time, you may have chance to visit the Citadel, the old city and the town's quaint harbour, an excellent place for dinner. Overnight in Bastia on bed & breakfast. After breakfast, you take your bicycle and leave northwards; the road follows the coastline. Enjoy the views over the crystal clear waters and the numerous hidden creeks which could shelter you for a swim if you wish to. When you cross the little fishing village of Erbalunga you are almost at your final destination for the night... Sisco. Overnight in Sisco on bed & breakfast. Still following the coastal road, today you'll have the possibility to take a swim in one of the many little creeks. Once you have reached Macinaggio you can relax at the beach or go for a short walk on the well-known path "Sentier des Douaniers". ​Overnight in Macinaggio on bed & breakfast. 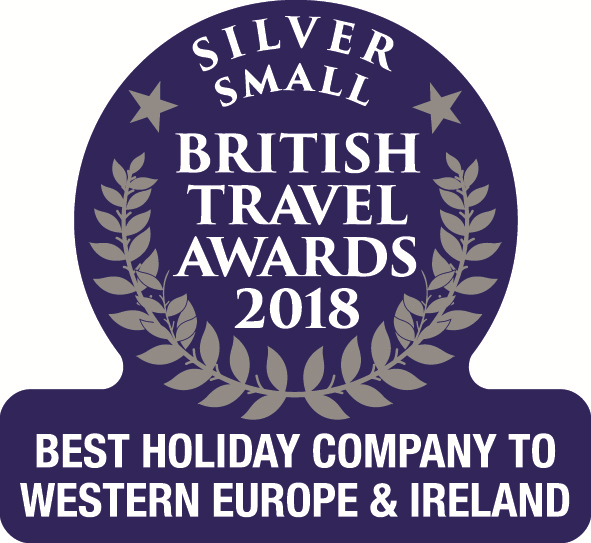 This is a spectacular journey crossing from the east to the west coast, offering stunning views over the craggy cliffs of the Cap Corse. These landscapes are some of the most beautiful and impressive. Today's journey ends in Canari. Be prepared for the long climb up to the village, but the magnificent views will make it worthwhile! Descend from the village and continue along the west coast with stunning views towards St Florent and the Desert des Agriates. Enjoy riding through Nonza, one of the most spectacular villages in Corsica. Famous for its black sandy beach and the village itself, which perches high on the rocks above. 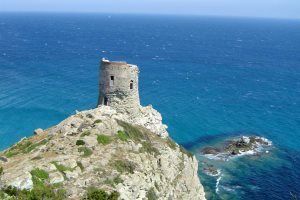 Nonza also boasts wonderful historical monuments such as its beautiful weathered Genoese tower. While descending the Cap, you will also notice that the landscapes progressively change from rugged cliffs to mountain peaks, then rolling vineyard hills as far as the eye can see. We recommend that you visit and explore the wine cellars of the village of Patrimonio, otherwise known as the Corsican capital of winemaking. The last stage of the tour is the toughest, with the climb to the pass of Teghime (+536 Metres). There you can see both coasts; the gulf of St Florent on the west and the Marana beach on the east. Spend the day exploring Bastia. Wander around the produce markets in the morning and visit the Vieux Port for a spot of lunch with cafés and bars lining the quay. After breakfast, you will be transferred to the airport where your trip will come to an end. Please note: This itinerary is an example of the itinerary we aim to adhere to, correct at time of publication. Should situations arise that are beyond our control, such as severe weather conditions, or other factors that could put your safety at risk, it may be possible for the itinerary to be modified. This route is our easier leisure cycling holiday and can be attempted by anyone with some level of fitness. The distances are shorter than most, however still quite challenging when cycling day after day. For the most part, the route is undulating, but there are still a few big hills to climb. Please note that this trip takes place on roads open to traffic. You should be competent with a bike on the road and you should not cycle at night. Whilst it is not a legal requirement to wear a helmet, we request all clients to wear a helmet at all times when cycling on Corsica. You can cycle at your own pace, choosing when and where to stop. We transport your bags between the hotels, provide maps and good notes. This is a way of enjoying complete flexibility, you dictate the pace and rhythm of your holiday. From 2 people. For safety reasons we do not accept single person reservations. Luggage transfers will be made daily. During the day, you should take a day sack (or use the panniers if you are renting a hybrid bike) for carrying your essential personal items like your camera, wallet, phone, water and lunch. See Tour Accommodation section below. Breakfasts are continental style. Evening meals are 3 course affairs using local produce. We recommend that you bring your preferred trail food, or high energy bars for the rides. Picnics can be purchased daily from bakers or small supermarkets. Bring sufficient to cover your personal expenses including snacks and drinks. Bottled water, soft drinks, beer and wine, coffee are all expensive. It is impossible to change money here and trying to find a working cash machine can be problematic. We recommend bringing all the Euros you need with you in cash. Be aware that ALL cycling in Corsica includes some hills! Be prepared to do some climbing. It is a good idea to get fit for this trip. The more time you put in before you leave, the more you will get out of it. Before your holiday you should get some practice rides in ensuring you cover the distances between 15km and 45km a day. You can expect to encounter some very wide ranging temperatures. During the rides you should be ready for everything, take powerful sun protection, as well as warm fleeces (depending on the time of year). 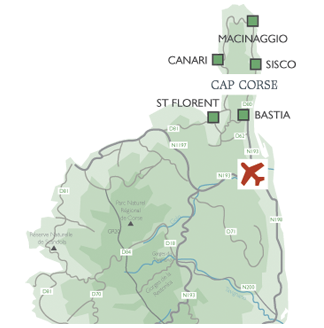 Corsica is known for its micro climates and each valley can be very different. The weather can change quickly and the mountains generate some stormy, often unpredictable weather. A small day pack for personal items – suitable for using on a bicycle. A suitcase for your main luggage. 15kg maximum per person. First aid - we recommend that you bring your own personal first aid kit consisting of: antiseptic cream, throat lozenges, diarrhoea treatment painkillers, plasters and blister treatment, re-hydration treatment. Glucose tablets or malt loaf and multi-vitamin tablets are a good idea. UK residents should obtain a European Health Insurance Card (EHIC) before travelling. The EHIC is normally valid for three to five years and covers any medical treatment that becomes necessary during your trip, because of either illness or an accident. The card gives access to state-provided medical treatment only and you'll be treated on the same basis as an 'insured' person living in the country you're visiting. This might not cover all the things you'd expect to get free of charge from the NHS in the UK. You may have to make a contribution to the cost of your care. You can obtain an EHIC from the Department of Health by phone, online, or at the post office. 5 nights in 3* hotels, 1 night in a 4* hotel and 1 night in a simple hotel. Bastia is one of Corsica’s most successful commercial towns and known as the capital of Haute Corse. The Place St Nicolas is a pleasant spot to soak up Bastia's Mediterranean atmosphere and with its shady trees and cafes, is the social hub of the town. The Boulevard Paoli and Rue Cesar Campinchi are the main shopping streets running parallel to the square. The old town lies south of Place St Nicolas and surrounds the old port which should not be missed. It is overlooked by the honey coloured Citadel and bustles with harbour side bars and restaurants. Wander through the old streets behind the old port to find the Place du Marche where there is a local farmers market each morning. The main beach in the town of Bastia is a pebbly one, and it can get very busy with the locals in the summer months. The sandy Plage de l'Arinella, south of the town, is the beginning of a long sandy shore that extends along the whole of the east coast with water sports, beachside cafés and restaurants. A 14km stretch of golden sand and gently shelving waters south of Bastia, Moriani Plage has various access points with several beach bars and water sports available. North of Erbalunga lies Plage de Porticciolo, a sandy beach near a small port which has turquoise sea and white sand. Its position means that it is rarely busy, and it is beautiful. The narrow road down to the golfe d’Aliso just after the turn off for Luri, ends at a small, red, sandy beach. Situated 2.5km north of Macinaggio at the end of a dirt road is the sandy and clean Plage de Tamarone that boasts deep and clear waters. Do not be surprised if the beach at Macinaggio itself is often covered with shelves of dead posidonia leaves as, although unattractive to wade through, they protect the coast from erosion and shelter the fish. From the car park here, various walks are marked which take you through Le Site Naturels de la Capandula. This reserve also includes the Islands off the coast, which you can see. There is a coastal walk (sentier des douaniers) leading to Barcaggio (3-4hours one way) and also a shorter 1hr 30min circuit that takes in many of the highlights and leads to a second beach Plage des Iles. A rock and pop music festival bringing together recognised artists and up-an-coming bands. A lively festival celebrating the wine produced in the Cap Corse region. A re-enactment of the arrival of the French governor with a light and drum parade through the streets of the citadel. The amphitheatre in the village of Patrimonio is the setting for this popular festival that takes place every July and draws stars from the world of guitar, be it jazz, flamenco, blues or rock. A hot Latin festival with nightly open-air concerts held in the citadel. An established music festival showing off some of the greatest national and local talents. Capital of Haute Corse and just a 15 minute drive from Erbalunga is Bastia, a busy town with a population of 50,000, making it the second largest town on the island. The Place St Nicolas is a pleasant spot to soak up Bastia’s Mediterranean atmosphere and with its shady trees and cafes is the social hub of the town. The Boulevard Paoli and Rue César Campinchi are the main shopping streets running parallel to the square. The old town lies south of Place St Nicolas and surrounds the old port which should not be missed. It is overlooked by the high honey-coloured Genoese Citadel (quite a climb) and bustles with harbourside bars and restaurants. Wander through the old streets behind the old port to find the Place du Marché where there is a local farmers market each morning and the church of St Jean Baptiste, Corsica's largest church is well worth a visit. Often called an island within an island, the Cap Corse is a maquis covered peninsula whose history sets it apart from the rest of the island. Tiny ports divide the east side as the western villages are sited on rugged cliffs. On the west of Cap Corse, narrow roads wind above a dramatically serrated coastline, dotted with little coves, whilst the sea washes on the rocks below and woods and maquis outline the peaks above. A complete circuit of the Cap Corse will take you about four hours (without stops) and we recommend that you always drive in a clockwise direction so that you are always in the inside lane (the road can be narrow and winding and the drops are precipitous and rather scary!). Spend a leisurely afternoon visiting a vineyard in the pretty village of Patrimonio, and tasting the superb wines. The Patrimonio region is most famous for its vineyards, much of Corsica’s best wine being produced in this area. You will find dozens of vineyards to visit and the proprietors are happy to welcome you and offer you their wines to sample. There is now a ‘route des vins’, which will lead you to all the vineyards. The sparkling, sheltered bay of St Florent lies between the Cap Corse and the Désert des Agriates. At first sight St Florent appears to be a bustling, attractive waterfront town, with boats, bars, excellent fish restaurants and an almost permanent game of boules in the square, but stroll into the old town and you discover a charming, ageless quarter of old houses, little shops and wine bars. There are pretty squares and quiet corners, with the sea always nearby!